Who should consider working with Financial Divorce Solutions? Individuals who want to reduce the time in negotiation with their ex-spouse. Couples who want a settlement that provides the best possible outcome given their personal situation. Lawyer and mediators who work with Financial Divorce Solutions receive assistance in the evaluation of the division of assets related to the individual’s future income through lifestyle projections. Once a person decides the relationships is over and starts to live separate and apart from each other with no intention of reconciling, they can begin to “undo the marriage”. A separation agreement spells out the practical details between the couple. Usually couples work on a separation agreement and then proceed to file for a divorce after one year. If you plan to remarry a certificate of divorce must be issued by the courts under the Canadian Divorce Act. Can I just stay separated? Do I have to file for a divorce? If you simply separate without getting a divorce, you can’t legally remarry and you can’t assume a new partner’s name. Separation agreements and court orders can resolve some family matters but they do not legally end your marriage. The only way to legally end your marriage is to get a divorce. Generally, you need to be separated for a one-year period to get a divorce. How can a Chartered Financial Divorce Specialist help divorcing individuals? The role of a Chartered Financial Divorce Specialist is to assist you to better understand how the financial decisions made today will impact your financial future. We help you understand tax, retirement and pension issues, if you can afford to keep the house, and which settlement offer provides the best outcome. Working with a Chartered Financial Divorce Specialist increases your chances of reaching a settlement that will fully address you long-term lifestyle needs. When does a Chartered Financial Divorce Specialist enter the divorce action process? A chartered financial divorce specialist can enter the process at one of many points. The specialist can be brought in at the beginning of the process to help prepare the financial statements that accompany the divorce application or reply to the application. When the client requests a speedy settlement, the chartered financial divorce specialist can be called in before an offer of settlement is made to prepare detailed charts showing financial outcomes. The chartered financial divorce specialist can also be brought into the process to provide an objective evaluation when a settlement offer is received. How is the Chartered Financial Divorce Specialist Paid? A chartered financial divorce specialist charges an hourly fee, usually paid by retainer. Some services may be provided by flat fee prices. Will money coaching help us develop a marriage contract or deal with conflict in our relationship around money? Yes! 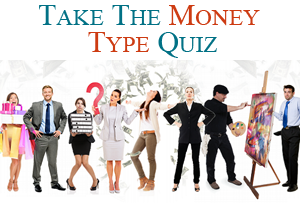 Conversions regarding money, and money related matters, are often taboo subjects. Money Coaching is a perfect way to bring those conversations out into the open where they can be explored in a safe and compassionate way. Where are coaching sessions held? Today’s technology allows us to host virtual session via Skype or Zoom as well as live in-person sessions. For virtual sessions computers with audio and video are required as well as good internet connections. What do I do if my partner is not interested in money coaching? Individual sessions can benefit a couple’s relationship. Often once one person signs up and starts to show positive changes then the other person is more open to finding out more. In order for Money Coaching to be effective you must be open to looking at yourself and your past behaviours and patterns and be willing to explore change. How do I know if money coaching is right for me? If you answer yes to any of these questions or if you experience feeling of fear, anxiety or stress when you have to deal with money related life events, then Money Coaching may be the service you need to become unstuck to free yourself to create the life you desire and deserve. Have you ever wondered why you are living paycheck to paycheck or relying on your line of credit to cover your bills? Do you argue about money with your partner or family? Are you ready to look deeper into your individual relationship with money or the money relationship you have as a couple?